Here is another virtual box break for you. Not everyone will have the chance to open a box of Topps Supreme Football Cards so I'm giving you the opportunity to open mine... virtually. Panini Limited tends to be an interesting break, no matter the sport offering a familiar configuration across the board. 2012 13 Panini Limited Basketball is no exception. 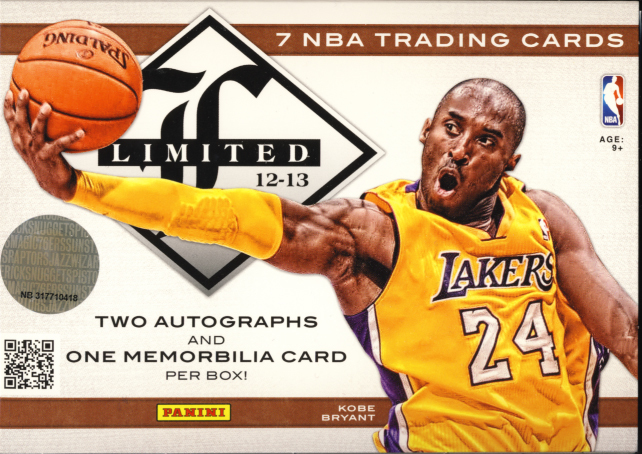 Add the continuity program of a pack of Kobe Anthology in every box of basketball cards this year along with a double rookie class and you’ve got a fun break with some nice upside potential. Limited Football fits nicely into our premium cards category. Each hobby box contains 7 cards with a promise of two autographs and one memorabilia card per box.